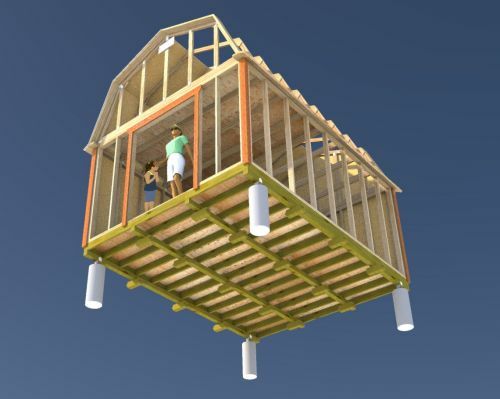 Need to anchor a wooden shed floor? 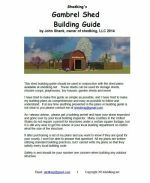 Here's the method I use and one that is widely accepted for building codes across the country. Please check with your local building inspection office to make sure this method is acceptable in your county. 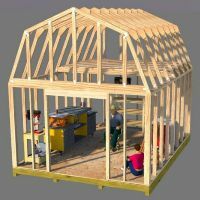 Typically most wooden shed floors need and should have some sort of anchoring. If not, they stand a better chance of being moved by heavy winds. 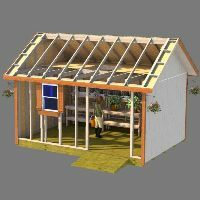 Movement of a shed even just fractions of an inch can play havoc on your shed doors. Floor movement will cause your doors to get out of alignment thus making it really difficult to open and close your doors, and will just get worse during the lifetime of your shed. You may also be looking at an unsafe condition where your roof framing is compromised and that could be the worst thing to happen. The easiest way for me to explain the floor method I use to get the anchors positioned right where they need to be is this. First off, the anchors are just that, anchors. They also provide support. Normally for small sheds it's not necessary to have any more then four anchors. One in each corner. For support along the rest of the floor skids this can be accomplished by placing blocking between the anchors. This blocking can be treated 2x4's, concrete blocks, etc. If you use 2x4's, or any treated lumber, try to nail it to its adjacent skid to prevent any movement of the blocking. If you use anything else you can't nail, try to use construction adhesive. You want to position these so that once you have your floor level and squared, take some sort of marking paint and spray under each skid corner exactly where you want your post to be dug. You will have 4 spots marked. Now, and you will need help for this. You and your helper, positioned on the same long side but in the corners, should be able to grab the floor frame and pull it about 6 to 8" over, exposing the marks. Now you can take your post hole digger and dig your 4 holes to 33". 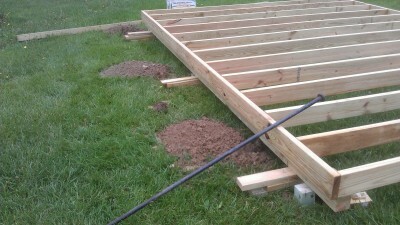 The 2x4's you laid down act as supports to keep it level, but also allow you to slide it back enough to allow you to dig your holes. With your holes dug, drop your 4x4 posts in the ground. They should be pretty close to the skids they will be supporting. Make a mark on your post that corresponds to the bottom of the skid right next to it. Take your post out and cut it flush on your line. Drop it back in the hole and repeat this proceedure for the remaining 3 posts. Now, slide your floor back in place so that the skids are located exactly about their supporting post. Make sure your floor is still level and square. Attach the skids to the posts with the mending plates. Now you can fill your holes with concrete and allow to set up over night before removing supports. Just make sure to have enough supports along the remainder of the skids inbetween the anchors. 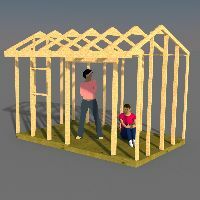 Hope this helps you out in your quest for learning how to build a shed.